You have almost made up your mind about going on a cruise holiday. Now, all that’s left for you to do is to make the bookings. Here’s all the advice you need before you proceed further. Cruise Consultancy: Consult with cruise sailing agencies and do your homework on deal-focused websites to make sure you don’t miss out on anything. Along with best deals, they provide you expert advice that will help you meet the exacting demands of your entire family. Family-friendly cruises: Out for family fun? Well… not every cruise is best suited for the family. That’s the hard reality of cruising. 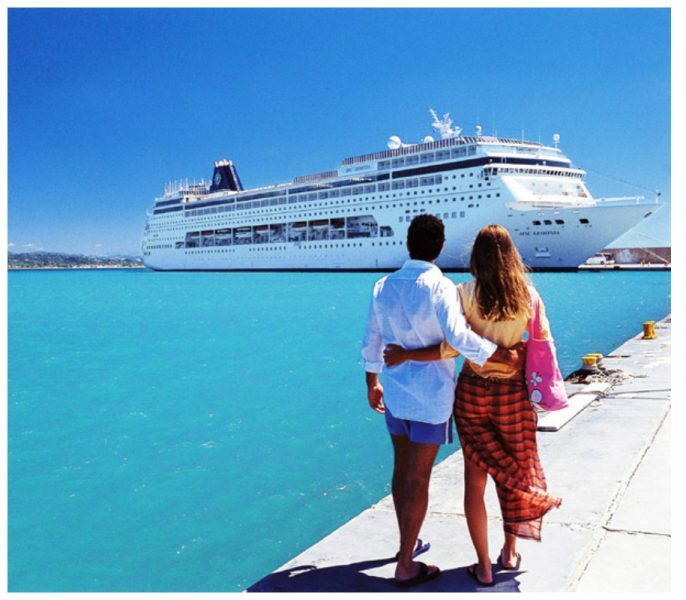 Nevertheless, there are some cruise lines that specifically design their services to provide best family experiences. From water slides, to zip-lines, surfboarding, to yoga, and many fun-filled activities, these vacations take you off on a journey that will strike a chord with different members of your family. There will be something to keep everyone engaged and give a new definition to the term family bonding. Check the itinerary: Some are beach lovers, some love adventure, some sightseeing, while others have an inclination towards serenity and calmness. Pick and choose an itinerary that meets all the demands of your family members and what they expect to get out of a holiday. Having trouble doing so? Speak to a reliable cruise specialist, and let them help you zero in on your dream vacation. The time factor: Cruises are in these days. With pictures of your peers floating on Instagram, Facebook, and Twitter, you definitely have an idea of their popularity. As the cruise dates begin to approach, tickets sell like hot cakes, prices surge, and soon the cruise of your dreams will be sold out. To save yourself from the agony, plan your cruise six to 12 months in advance. This will not just help you get the best price for your cruise, but will also help you cinch promotional deals, enticing value-added benefits, and shore excursions that cruise lines frequently throw in during the cruise announcement phase. So, plan in advance and reap maximum benefits for your cruise vacation. Don’t stretch too much: Pick a quick getaway without over-stretching your travel budget. Often, there are hidden costs such as taxes and gratuities that many cruise lines prefer not to display in their fares. As paying them are compulsory, they often land you in trouble at a later stage, in case you’re already overstretching your budget. Smartly allocate your budget and keep additional money at hand that will serve as a cushion while cruise sailing and for your on-shore excursions. Why shouldn’t kids have all the fun: Apart from extremely engaging all family activities, cruises also include specifically designated play areas, clubs, and discos where your kids can hang out without you worrying about them. From toddlers to teens, your little ones will be thoroughly engaged while you sit on the deck with your partner and enjoy an interesting drink or soak in all the ambience at the Broadway-style theatre! Unlimited amenities: Choose a package with unlimited amenities as it gives you the most magnificent cruise-sailing experience with seamless services. Add-on packages often become more of a necessity than luxury while cruising, but you have to pay through your nose if you haven’t availed the offer beforehand. When you get free access to speciality restaurants, exclusive concierge services, handcrafted cocktails and other add-ons, trust us, you’ll be thanking us later!